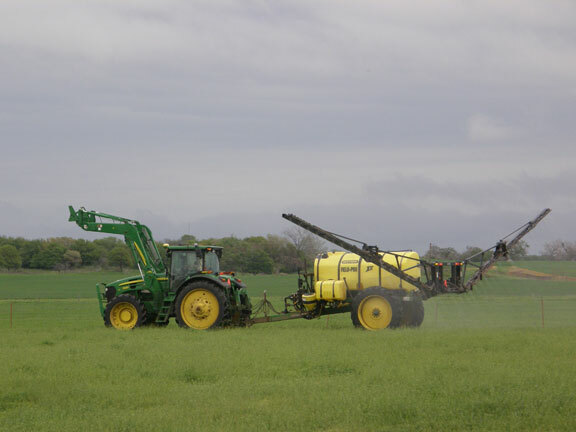 We were able to apply fertilizer and weed killer to about 400 acres of bermuda grass before a nice quarter-inch rain. struggle to get it to cure in late April, which has me wondering what will happen laying it down this early. We saved 160 acres to lay down for hay this spring and have decided to monitor it and let it remain standing until it starts losing leaves. It’s not “normal” but nothing has seemed “normal” for the past 18 months. We’re going to hay 480 acres of wheat, which will probably be earlier than usual too. I’ll keep you posted as that gets closer. 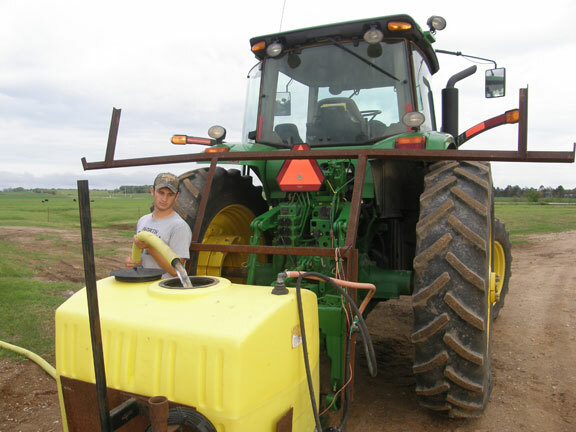 Our son, Clayton, filling the fence row sprayer. our native pastures. I turned in the acres yesterday, so they should get started soon. Clayton finished up our fence row spraying to keep the feral rye from getting a foothold on the edge of our wheat fields. 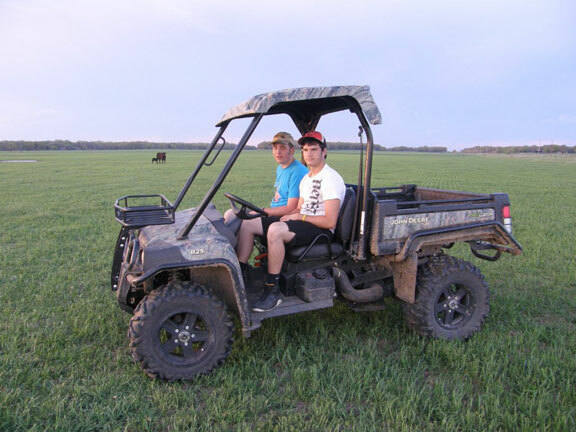 Our son, Wade, and a friend move cattle to another pasture. with one of the new bulls is a half Hereford, half Angus calf whose sire is one of the bulls we bought from B&D two years ago. I really appreciate the good dispositions and genetics that Herefords bring to our herd. Our heifers continue to calve daily. We are all looking forward to them finishing up. 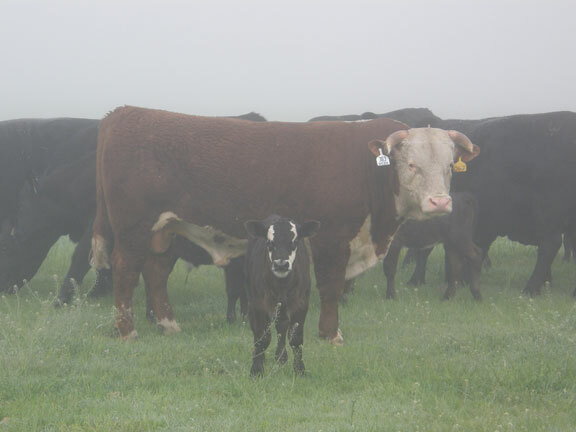 A hereford-cross calf out of one of the B&D bulls we bought last year.